There is a very pretty, but quite difficult, colour challenge at The Paper Players this week. Such a soft and dreamy colour palette lead to this creation, featuring the new Special Reason bundle and the Sale-a-bration set, Delicate Details. I'm very happy with the result, but it's hard to go wrong with such lovely sets to work with. What a beautiul card Jan - your layered flower is so pretty and I love the embossed copper lace detailing. Thanks for joining us over at The Paper Players this week! 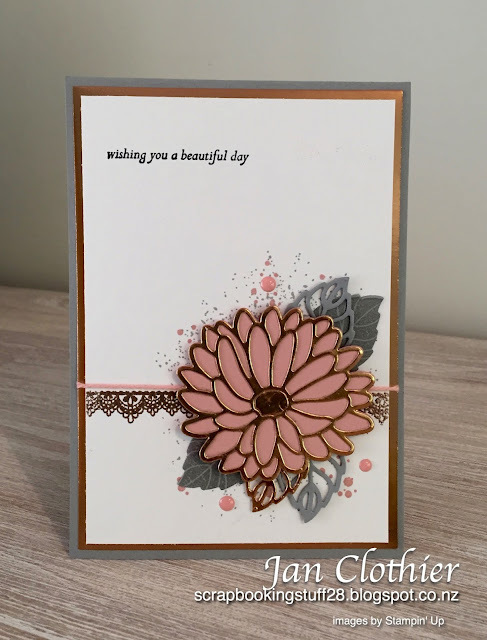 Goodness, those flowers look good in copper - another fabulous use of the set. WE would never know you found the colors difficult because your creation is effortlessly beautiful. I love the copper & pink layered flower and the grey leaves are gorgeous! So glad you joined us this week at the Paper Players! SO pretty! 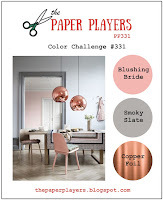 Love the copper flower - gorgeous!!! Thanks for playing along with us at The Paper Players. I thought they were difficult, too! I didn't end up getting a chance to play along last week... but I'm glad you did! This card is just stunning! 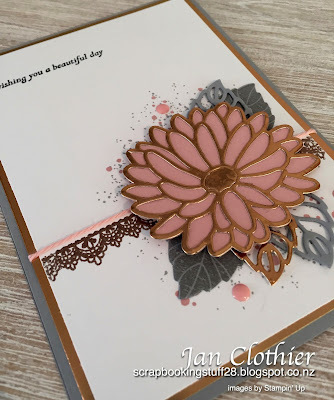 Gorgeous card, Jan. I love the use of these colours together! Thank you for sharing your creation.